Make Your Mark with the new Sightmark ReadyFire G6 Green Laser Sight. Featuring a compact design with push button operation easily accessible to the shooter, the ReadyFire G6 Laser Sight is perfect for acquiring targets at close range. 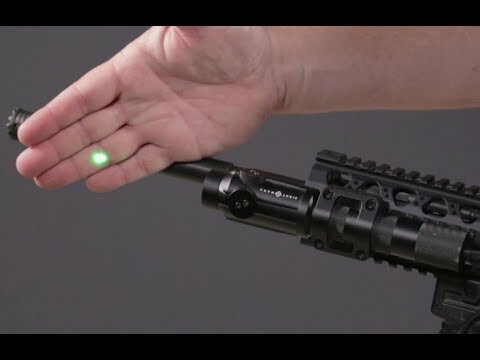 Powered by two CR123A batteries lasting up to 8 hours, this green laser can reach up to an impressive 300 yards during night time operation. Featuring a weaver/picatinny mount, the ReadyFire G6 Green Laser Sight has an operating temperature range of 0°F to 120°F, making it an ideal laser choice for almost any shooting scenario.